The last time Ted Ligety felt this confident, this healthy and this fast on his skis was ages ago. Oct. 25, 2015, in Soelden, Austria, to be more precise — the date of his last World Cup victory. Since that day, the American skier has tweaked his back, frayed the cartilage in his hip, torn the ACL in his right knee and wrenched his back again — to the point where he needed season-ending surgery last January to fix herniated disks. Almost immediately after the surgery he felt better. Three months after the procedure, he was training again. And now, Ligety’s progressed to the place where he can actually envision himself defending his Olympic giant slalom title at the Winter Games in South Korea in February. Ligety tried to grit through the pain of a balky back a season ago. It turned out to be too much to bear for the skier who’s a five-time World Cup overall GS champion, five-time winner at the world championships and two-time Olympic gold medalist. The persistent back trouble comes on the heels of tearing his ACL during a training mishap in Oberjoch, Germany, in January 2016. The skier once referred to as “Mr. GS” by his rivals has also dealt with hip issues. Given all the time he’s missed over the years, Ligety doesn’t feel like anywhere near the favorite heading into Pyeongchang. That distinction, in his mind, belongs to six-time defending World Cup overall champion Marcel Hirscher, who’s currently sidelined after breaking his left ankle in August when he straddled a slalom gate during practice. Hirscher, who’s from Austria, could be back for the World Cup races in Beaver Creek, that begin on Dec. 1. 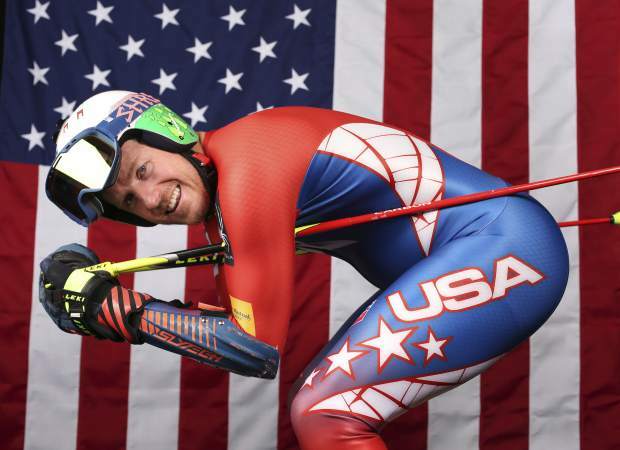 “I’ve got to raise my game for sure,” said Ligety, who has a giant slalom gold from the 2014 Sochi Games to go with the combined crown he captured at the 2006 Turin Olympics. “When I was winning races a couple of years ago, that’s the level these guys have surpassed. I have to go beyond what I’ve done in the past. That’s good the sport is evolving and getting better. That’s definitely an inspiration to me, to push myself even harder, to try and figure out ways to get faster. Over the last few months, he’s been diligently training and feeling no pain in his surgically repaired back. Ligety became a father in late June when he and his wife, Mia, welcomed Jax Ligety into the world. He recently posted on his Instagram account how the “duffel bag life is tougher these days,” after a training trip to New Zealand. The plan is for the family to follow him around the World Cup circuit beginning in January and carry into the Olympics. “It’s definitely hard to balance, in the sense you don’t want to miss anything,” Ligety said of ski racing and fatherhood. “I want to do all the stuff that involves being a dad, and being there for my kid and watching him grow up. I’m balancing those two things. Now 33, Ligety’s started to contemplate just how much longer he wants to keep racing. He’s already launched a successful company, Shred, which makes goggles, sunglasses, gloves and other products.